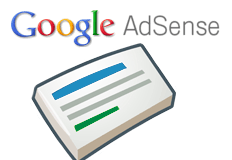 Today, between 2pm and 4pm EDT there may be reporting delays on Google AdSense consoles. Just got word from our engineers that they'll be performing some routine maintenance tomorrow morning, and it might cause stats reporting to be delayed. The maintenance is slated to begin at 11am PDT, and may last as long as 2 hours. Stats will catch up gradually after maintenance is completed, and should be totally caught up by the end of day. Of course, impressions, clicks and earnings will be recorded as usual, and you will be paid for all activity on your account. AdSense reporting delays are nothing new but we rarely are given a heads up about it, leading to tons of concern and complaints in the forums. Forum discussion at Google AdSense Help.